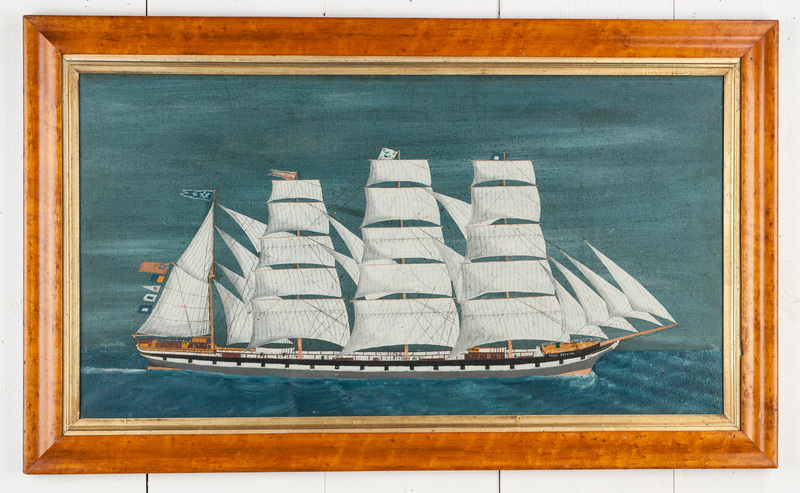 A naive painting of the Moel Tryvan, painted on sailcloth and within a period, Victorian, bird's eye maple frame. 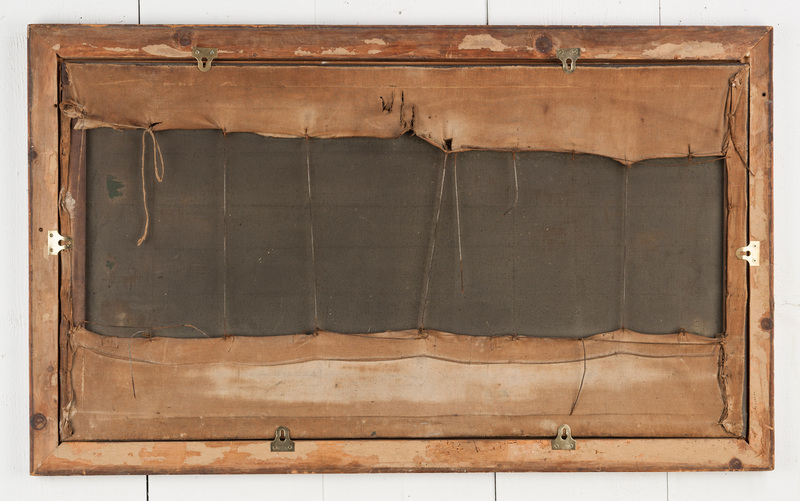 The style of this painting is the same as can be found on the inside to the lid of many a sailor's chest and strongly suggests that this is the work of a mariner; most likely a crew member of the barque. Built by Doxford & Sons in 1884 for W.E. Jones, Moel Tryvan was capsized and wrecked in 1901.